Strategy games can be exciting. They can be...strategic. They can be easy, they can be hard. You might not have ever wanted to see some of the biggest games in the genre compared across these metrics—I’d never thought of it—but seeing them mapped out is pretty interesting! Yes, this is one of those infographics-fronting-as-advertisement kinda deals, but I thought the data that Quantic Foundry came up with—based on studying the habits of “140,000 gamers”—cool enough to share regardless. 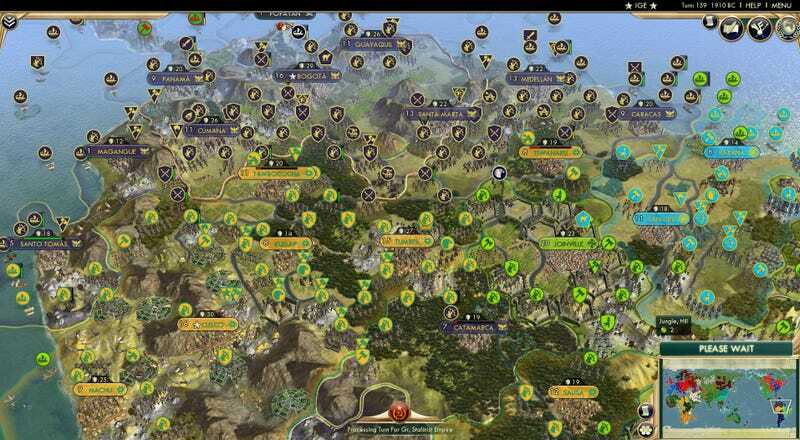 Taking a bunch of big strategy series like Civilization, Total War and Age of Empires (plus for some reason a bunch of games that are...not really strategy, like DOTA and World of Tanks), they’ve compared them across two key metrics—how excited they made players feel and how much strategy was actually required to play them—then come to a bunch of conclusions. Strategy is the appeal of thinking, planning ahead, and making decisions; Excitement is the appeal of fast-paced action and gameplay that rewards rapid reactions. Like the presence of a “cognitive threshold, which they describe as the point “beyond which forcing you to make complex decisions under time pressure is simply not fun anymore”. It’s interesting to me as a big strategy gamer that StarCraft, a series I’m not really into, is just on the “wrong” side of that threshold, while Total War, a series I’m very into, sits just on the right side of it. (That’s not to say SC is a bad series, just that for the purposes of this research it falls more on the side of an action game than a proper strategic experience, which coincidentally is why I’m not that into it). Those three bands break games into very general playstyles, so while there can be a big difference between Civilization and Command & Conquer on paper, at their core they’ve actually got a lot in common. Games in the Hard Fun band are demanding and unforgiving when mistakes are made–they are designed to tap as much of your available cognitive resources as possible. They tend to have highly specific goals and end-states. Games in the Balanced Fun band have a moderate amount of strategic complexity. They are designed to require thoughtfulness, without being demanding about cognitive resources. And it is possible to recover from minor mistakes. And then finally, games in the Easy Fun band tend to encourage more free-form creative play, where being strategic is an asset but far from being a requirement to enjoy the game. And where making mistakes is encouraged by design or is in fact part of the fun.